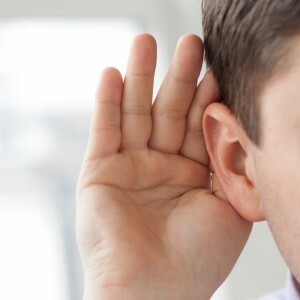 Also known as unilateral hearing loss, single sided deafness is when someone has normal hearing in one ear and a hearing loss in the other ear. People with this condition are able to understand speech easily in quiet situations. However, they are likely to encounter difficulties understanding speech in noisy situations, especially from their impaired (“deaf”) side. People with single sided hearing loss are also likely to encounter difficulties telling where sounds are coming from. What can be done to help single sided deafness? Our Audiologist, Emma van Wanrooy has extensive experience assisting people with single sided hearing loss to adapt to their often sudden loss of hearing, and find the right device to help them achieve their listening goals. Devices that can help a person with single sided deafness include bone anchored hearing aids (eg/BAHA), Cros Hearing Aids, or a Cochlear implant. A Cros Hearing aid picks sound up from the “deaf” ear and sends it wirelessly across to the good ear. A Bone anchored hearing aid is a surgically implanted device that sends the sound across to the good ear through vibration of the skull and cochlea. Cochlear implants are inserted into the impaired cochlea and sound is transmitted electrically to the hearing nerve. The best device for each person varies, depending on what they want to achieve (eg/ localising sounds, hearing better in noise) and the cause of their hearing loss. Contact us for an assessment and consultation to find out what is best for your situation.